Ketogenic Diet Bodybuilding Guide - Health Tips - Try This! Many bodybuilders believe that carbohydrates play a huge role in building great physiques. However, experts have proven that carbs have very little to do with bodybuilding. This means that you can build up your muscles and gain the best physique even if you are on a ketogenic diet. In bodybuilding, you have to follow some key principles that will deliver you the best results, and it won’t even require you to eat high-carb foods. 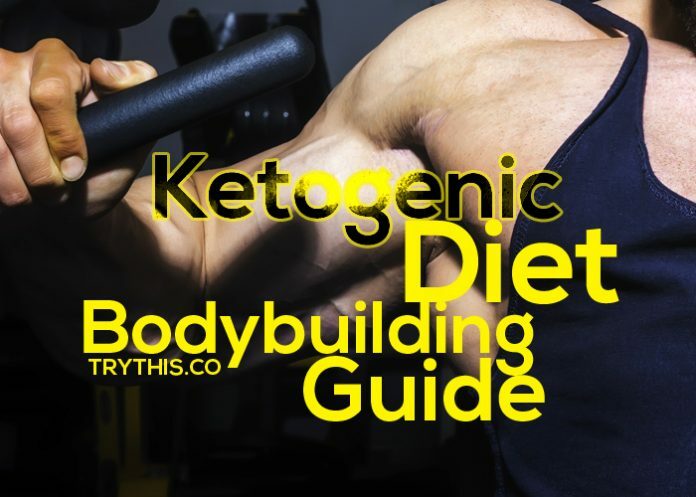 These key principles are critical when you want to start your own ketogenic diet bodybuilding regimen. 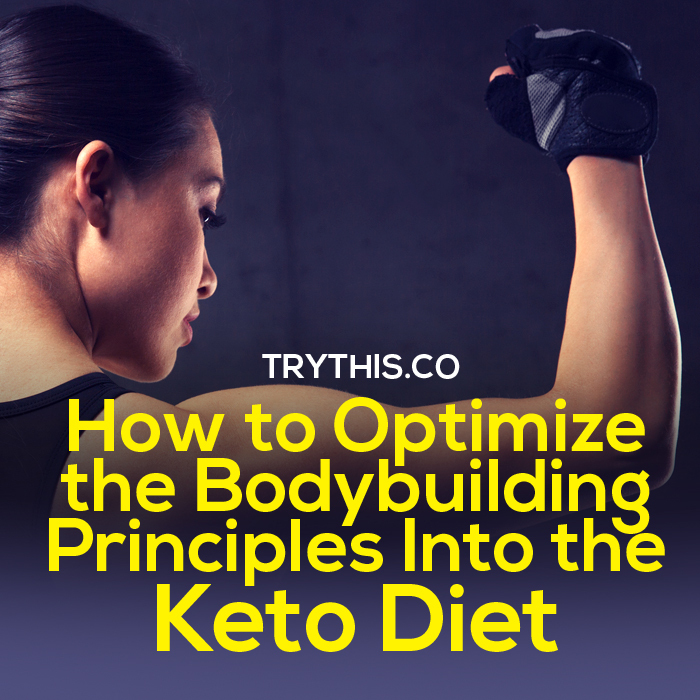 Whether you are on a keto diet or not, following key bodybuilding principles are critical for success. These principles are backed up by science and have been proven by so many bodybuilders. The first key bodybuilding principle is, of course, to train seriously. Strength training is a stimulus that will force your muscles to grow. Next key principle is to consume enough protein. Your muscles need protein because it is the building block that allows your muscles to grow. Protein also provides the needed energy for your body to function well. Calorie consumption is also a huge factor in bulking up your muscles. There is a recommended amount of calorie that you should consume in one day depending on the physique that you want to achieve. If you are on a keto diet, the number of calories you consume will mostly depend on the amount of fat you eat. It is important to take care and increase your hormones by taking the right nutrition, getting adequate sleep, practicing resistance training, and consuming essential fatty acids. Avoid stress because it will only cause your body to go into a catabolic state that breaks down muscle mass. The last key principle in bodybuilding is drinking lots of fluids, especially if you are on a keto diet. Bodybuilding and ketogenic diet cause major water loss in the body. You need to replenish the fluids to improve your recovery and performance. You may be wondering how you can incorporate certain bodybuilding principles into your keto diet. Let us start with your workout and training. 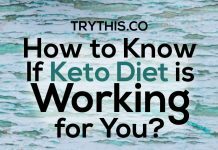 Try Now The Personal Keto Diet Plan, Click Here. During the first few weeks of your training, you would notice that your body may not perform as well as before. The reason behind this is that your body hasn’t fully adapted itself to the restriction of carbohydrates in your diet. If your workout sets last longer than 30 seconds, it would be harder for you to finish your set. However, this shouldn’t mean that you would quit altogether. The best way to adapt to your new ketogenic diet bodybuilding and training program is to lower your reps to about 3 to 5 reps per set and increase your sets and rest period. This would have the same result as your usual 10-12 reps per set. Studies have shown that if the total volume of the 3 reps per set and the 10 reps per set are the same, then you can achieve the same results. If you’re previously doing 10 reps 3 sets of, let’s say 50 pounds weight, then your volume for 1 set is 500 pounds and 1,500 pounds total volume for the 3 sets. In ketogenic diet bodybuilding, you can increase the number of sets in order to achieve the same total volume. The only downside to this type of training is that it takes a longer time to finish. But if you’re serious about your bodybuilding while you are adapting to your keto diet, then you should switch to this type of workout. You can still stick to your usual workout routine when you are on a keto diet, but you have to keep in mind that you don’t have the same endurance and strength as you did when you were still consuming a lot of carbs. Experts suggest that if you are on a keto diet and you want to gain muscles, you should consume about 1 gram of protein per pound of your body weight. If you want to lose fat and maintain the muscles, you can consume 1.3 grams of protein or more per pound of body weight. It’s a fact that low-calorie intake can cause your body to lose weight and high-calorie intake can result in weight gain. 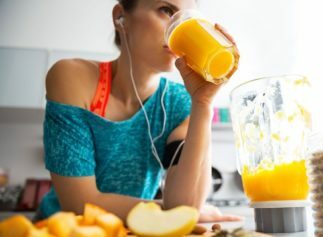 But you can change the way you lose and gain weight by following three factors, which are eating enough protein, lowering your carbs intake, and strength training or lifting weights. If you are going for muscle gain, it is recommended to consume about 250 to 500 calories. 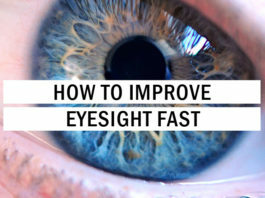 This will result in about ½ to 1 pound per week. You should remember that the excess calories should come from fats and not carbs or protein. Try to maintain about 1 gram of protein intake per pound of bodyweight. For beginners in bodybuilding, it’s better to have larger calorie intake for more muscle gain. For those who are in bodybuilding for several years, it’s better to have smaller calorie intake to avoid fat accumulation. If you are going for fat loss, you should aim for a calorie deficit that produces in bodyweight losses of about 0.5 to 1 percent per week. 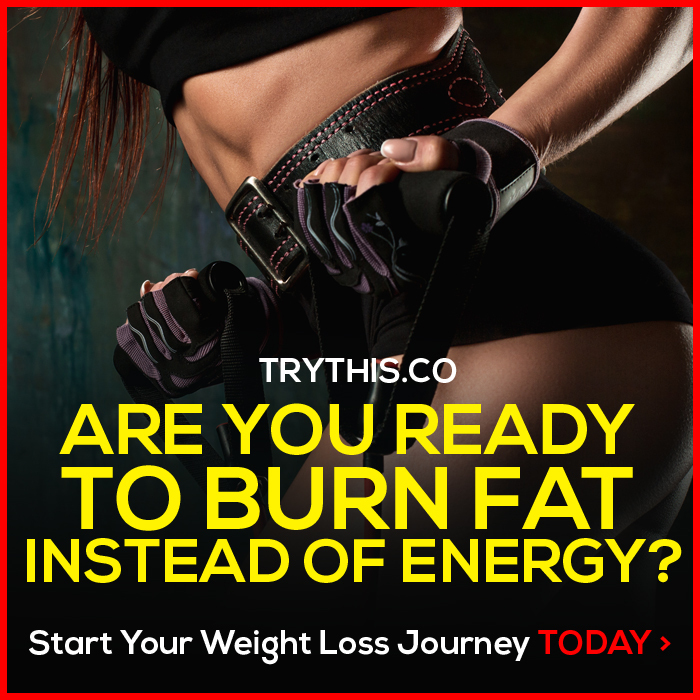 You may need to decrease or increase your consumption of fat to meet your caloric needs. You should also consume protein at 1 gram per pound of bodyweight. 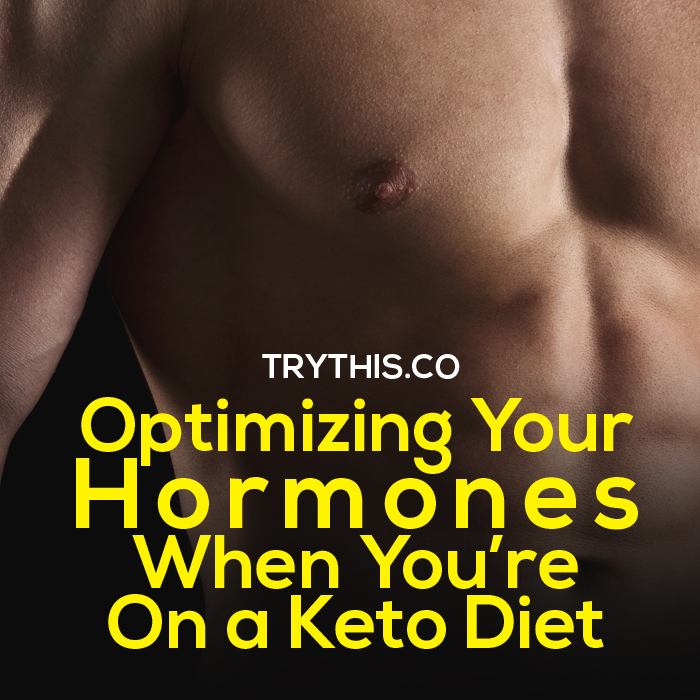 The hormones in your body play a huge role when it comes to regulating your muscles and fat. There are hormones that are in charge of growth, while other hormones promote cell regeneration, which makes it an important element in bodybuilding. The ketogenic diet is perfect for bodybuilding because it allows for the faster growth of hormone levels. However, some people will say that you need carbohydrates in your diet because it is needed by your body to stimulate insulin, which builds up muscles. Studies have revealed that carbs may not be that important in building muscles. Bodybuilding triggers your muscle cells to become more sensitive to IGF-1 and insulin. It also allows the hormones and testosterone to go up. By combining proper workout regimen and bodybuilding program with more protein intake, this will stimulate the release of IGF-1 and insulin, thus increasing the muscle protein synthesis significantly. This shows that you don’t actually need carbs when building muscles. In order to fully optimize ketogenic diet bodybuilding, you need to have a better sleep and workout schedule. If you are new to ketogenic diet bodybuilding, try to experiment until you find a more suitable schedule that fits your lifestyle. During the first week of the ketogenic diet, it is expected that you would experience a water loss of 2% of your body weight. According to some studies, a water loss of 2% of your body weight can negatively affect your physical performance. If this goes up to 2.8%, then it can also affect the normal cognitive function. You can experience keto flu if you fail to hydrate yourself regularly during your ketogenic diet bodybuilding. It is recommended for women to drink 2.7 liters of water every day, and men should drink about 3.7 liters every day. It is a must to drink extra glasses of water per day for those who are in a keto diet and has a regular exercise routine. Some experts recommend weighing yourself before and after exercising to know the number of water weight you lost. This way, you have an idea how much water intake you should have for that day. 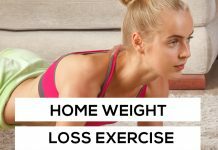 It is also advised to take an extra 16 to 20 ounces of water to your baseline water intake for each pound of water weight you lose during exercise and the first week of your ketogenic diet. You can try putting a pinch of salt into your water to quickly replenish the sodium that was lost. Following the bodybuilding principles given above will surely give you the desired results you’ve always wanted. 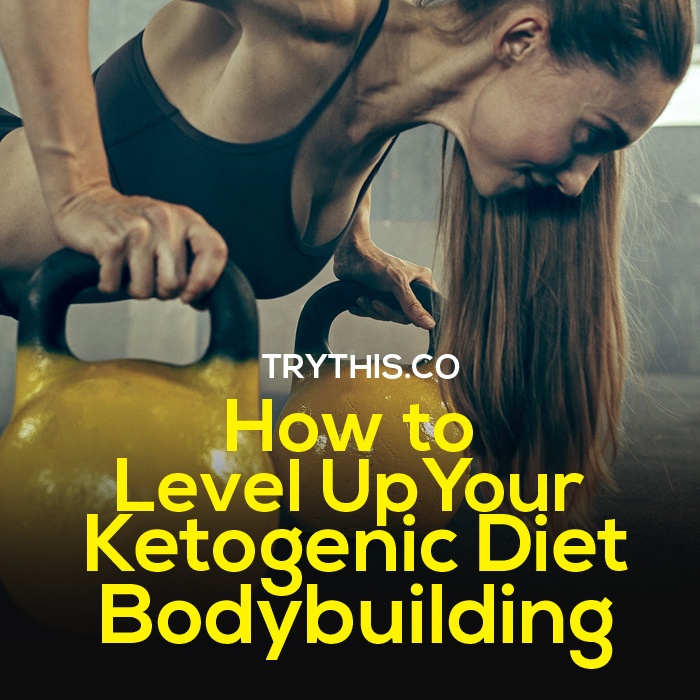 However, if you want to put your ketogenic diet bodybuilding to the next level, then you have to these proven suggestions. For those who are not familiar with intermittent fasting, it is an eating pattern that cycle between the period of eating and fasting. It is also known as an intermittent calorie restriction wherein some people fast every other day, while others fast for 16 to 20 hours per day. Intermittent fasting is beneficial for bodybuilding because it helps increase the level of fat burning, it improves your recovery, and it increases the growth hormone and ketone levels. Experts suggest trying out intermittent fasting during the first week of your ketogenic diet. Intermittent fasting during a keto diet can actually get you into ketosis much faster. You also have to make sure that you are consuming enough protein and calories during this time. In ketogenic diet bodybuilding, you can try timing your protein intake, which means eating a high protein meal before and after your workout. Studies have shown that consuming protein 2 to 3 hours before a heavy workout will more likely increase the muscle protein synthesis throughout the entire workout and extend for a couple of hours more. So the general recommendation is eating a high-protein meal 2 to 3 hours before workout and 2 to 3 hours after a workout. You can also try 20 to 40 grams of protein supplement an hour before and/or after your intense workout. If you notice that you have not been having much improvement after following the key principles of bodybuilding and sticking to a strict keto diet, then you can use the cyclical or targeted ketogenic diet. The cyclical ketogenic diet and targeted ketogenic diet allows you to increase your carb consumption at certain periods of time. For the targeted ketogenic diet, you can take about 25 to 50 grams of carbs 30 minutes before your workout. Make sure that the carbs are easily digestible. 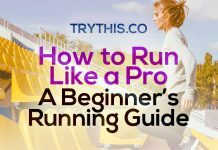 This is commonly practiced by beginners and keto dieters who feel very weak and cannot perform well during their workout. For the cyclical ketogenic diet, you can consume carbs for 1 to 2 days, and then go strict keto diet for 5 to 6 days. This type of keto diet is being used to optimize strength and performance, which helps a lot when working out. 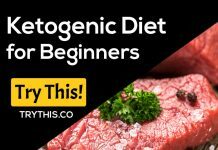 The only thing you have to remember with this type of keto diet is to deplete your glycogen stores with training and exercise and achieve ketosis before your carb feeding period. The fish oil supplement can help in your ketogenic diet bodybuilding because it provides a rich amount of omega 3 fatty acids. The main benefit of omega 3, particularly the EPA and DHA, is its ability to stimulate muscle protein synthesis and improve recovery. It can also help manage the muscle soreness and pain after an intense workout. Taking a 6-gram overall dose taken throughout the day can help bring down the soreness. You can take a fish oil supplement, or you can also eat at least 3 ounces of salmon or sardines per day. Experts suggest taking 1 gram of omega 3 every day. MCT Oil is a great supplement for ketogenic diet bodybuilding. It can quickly help your body get into ketosis and gives you an extra boost during your workout. MCT Oil or medium chain triglycerides are a special type of saturated fat that directly goes to the liver after being digested. The liver converts the MCT Oil into ketones and sends them into the parts of your body where you need energy the most. 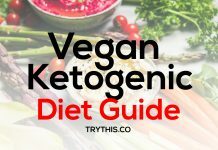 This will definitely help avoid the weakness and low energy that most people experience when they are on a keto diet. Experts recommend supplementing with 1 to 2 tablespoons of MCT oil before doing your training or workout for an extra energy boost. Creatine is popular and well-received in the bodybuilding industry because it is safe and proven to be effective in enhancing performance. Most bodybuilders take 5 grams of creatine to help them increase their strength, muscle mass, and power. This also holds true for ketogenic diet bodybuilding, wherein experts recommend taking 5 grams of creatine monohydrate powder every day. 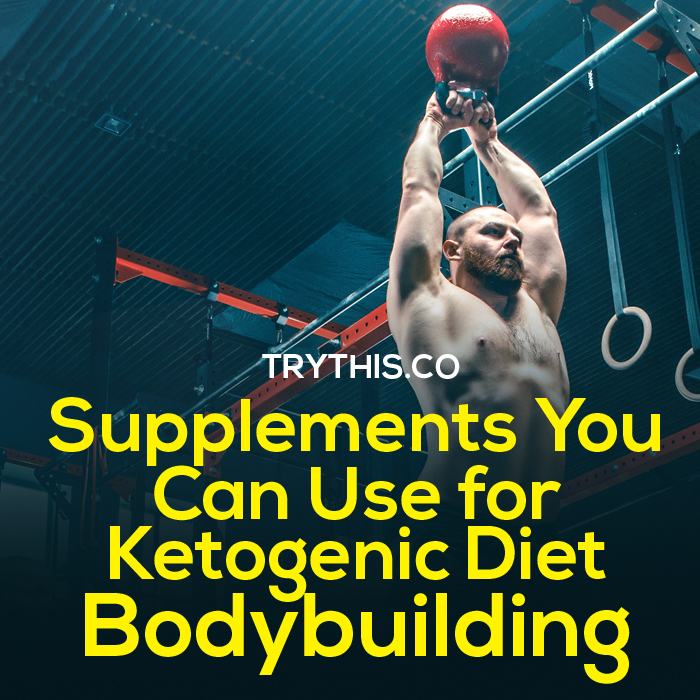 This is another sports performance supplement that can give a tremendous boost to your ketogenic diet bodybuilding regimen. L-Citrulline is also used by many people as a cardiovascular health supplement. This is a perfect supplement for keto dieters because it is effective in reducing fatigue and improving endurance. It is suggested that you can take 6,000 to 8,000 mg of L-Citrulline one hour before your workout. 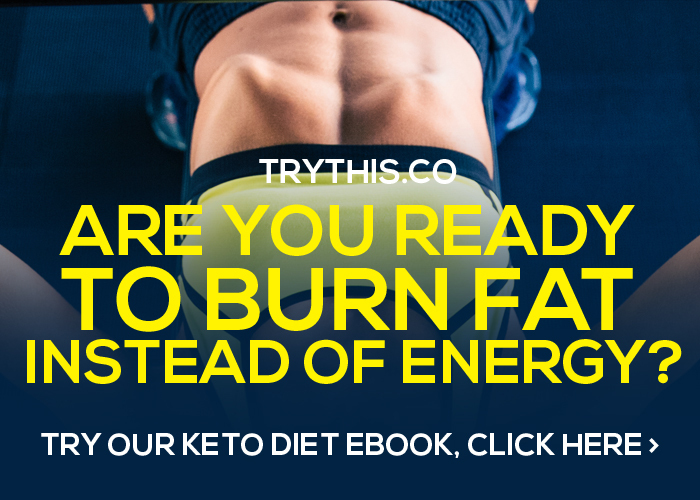 Trying out the keto diet is a sure way to increase your ketone levels. However, if you want to provide a big boost to your ketone levels, then using ketone levels would definitely help. Having a high ketone level increases your energy, thus giving you the extra push you need during your workout. It is better to choose magnesium or potassium BHB ketone salt because it provides more energy compared to acetoacetate. BHB is also very effective in increasing the level of muscle protein synthesis. During the first few weeks of your keto diet, it would be challenging for you to finish your usual rep ranges. This is where beta-alanine can help with your ketogenic diet bodybuilding. Beta-Alanine can help enhance your muscle endurance, which gives you the extra power and strength to finish your sets, even if you are doing ketogenic diet bodybuilding. It is recommended to take 2 to 5 grams of beta-alanine together with 5 grams of creatine each day to get the best result. Some people may experience some tingling sensation when taking this dosage, if you are one of them and it becomes too uncomfortable, try taking 0.8 to 1 gram of beta-alanine 2 to 5 times throughout the day. One study has found that taking taurine can successfully lower fatigue and increase power. They also found that taurine gave much better results than caffeine or the combination of taurine and caffeine. It is suggested that you take 50 mg of taurine per kg of your body weight. This formula can help find the right taurine dosage for you so you can eventually increase your workout performance during your ketogenic diet. Some bodybuilders may suggest other supplements such as caffeine or amino acids, but you have to be careful when choosing your supplements. Caffeine may have beneficial effects by boosting energy and enhancing your workout performance but it can also prevent you from achieving ketosis. Moreover, regular coffee drinkers may not experience these caffeine effects because they are already used to it. If you really want to boost your energy, you can opt for taurine. Amino acids such as the BCAA and the EAA supplements may help in the muscle protein synthesis, but your ketogenic diet is already providing the protein your body needs. Thus, getting these BCAA and EAA supplements may only be a waste of time and money. Go Full Force On Training – as the saying goes, “No Pain, No Gain.” You have to go all out and train hard enough to produce maximum growth of muscle mass. Consume the Right Amount of Protein – you need protein in your ketogenic diet bodybuilding because it helps build your muscles and act as fuel to your body. Consume the Right Amount of Calorie – remember that if you are going for muscle gain, it is recommended to consume about 250 to 500 calories. 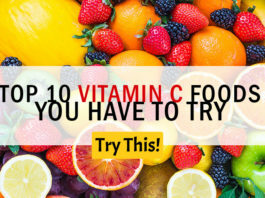 This will result in about ½ to 1 pound per week. If you are going for fat loss, aim for a calorie deficit that produces in bodyweight losses of about 0.5 to 1 percent per week. It is also recommended to increase or decrease your fat consumption to get the right amount of calories. Optimize Your Hormones – this can be done by avoiding stress and lack of sleep. It is also recommended to have a good workout schedule and learn meditation techniques. Drink Lots of Fluids – in ketogenic diet bodybuilding, it is important to keep yourself hydrated to avoid the so-called keto flu. It is recommended to drink water containing unprocessed salt daily to replenish the sodium that was lost.